Following the press conference, Brie Larson attended the 'Avengers: Endgame' fan event premiere yesterday evening(April 15th) in Seoul, Korea. Her stylist Samantha McMillien posted her look to instagram. 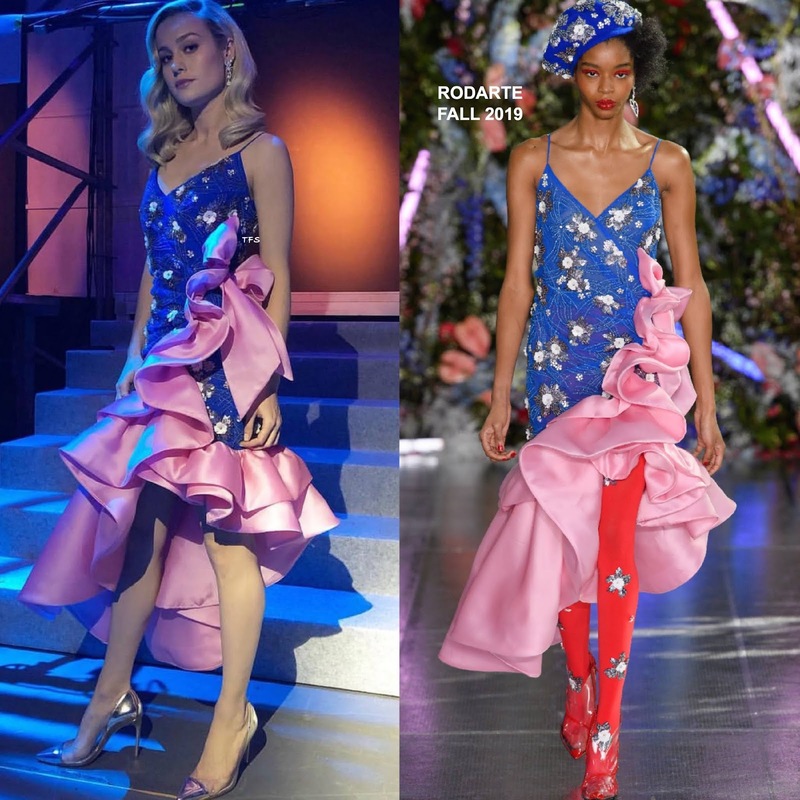 Brie was serving up 80's prom realness wearing a RODARTE FALL 2019 blue & pink hand-beaded, ruffle silk blend asymmetrical dress. This feminine, whimsical dress is one that you hate to love and you have to give up to Brie, because she sells it. Beauty look is flawless but I would swap out the GIANVTIO ROSSI pumps for ankle strap sandals or pumps. ANABELA CHAN earrings finished up her look. Did Brie sell you on her 80's inspired look?